Gamers tend to focus on staying alive rather than memorizing brands. In-game ads are either an immersive touch, a necessary evil, or a waste of space, depending on whom you ask. Whether you love them or hate them, though, you probably won't remember them in a violent game. A study conducted by the University of Texas suggests that gamers who view in-game ads during violent scenarios have worse brand recall and perception than those who view the ads in nonviolent situations. The study, which will appear in an upcoming issue of Cyberpsychology, Behavior, and Social Networking, tested its hypothesis by setting up two groups of gamers. One group controlled a gun-toting character making his way through a blood-spattered room, fighting with enemies. The other controlled an unarmed protagonist walking through the same room, but with water droplets and peaceful NPCs replacing the more violent imagery. Both rooms contained identical brand advertisements. Players filled out surveys afterwards, and the results were telling: not only did violent-game participants have lower brand retention than nonviolent players, but they had more negative perceptions of the brands as well. Interestingly, women who played the violent scenario generally did worse than men on brand retention and perception. Researchers believe this might be due to increased male exposure or desensitization to virtual violence. 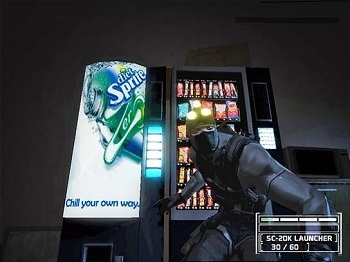 Especially now that the free-to-play model is on the rise, game developers will be looking for new ways to incorporate advertisements into games. This in and of itself is not a bad thing, but this study suggests that they should pay close attention to the kind of scenarios in which their ads appear.